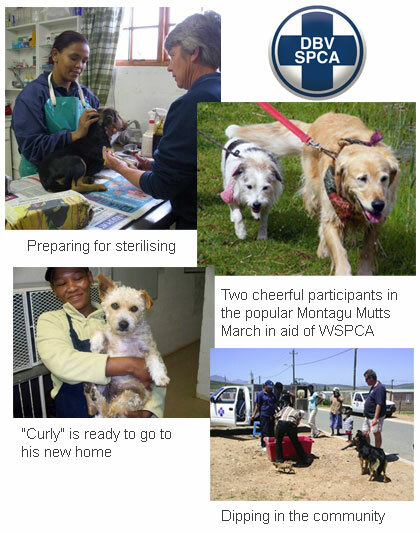 The SPCA closest to Montagu Is based in Ashton - follow the signs from the Total Garage. We work in the five towns of our Municipality - namely, Ashton, Robertson, Montagu, Bonnievale, McGregor and surrounding farming areas. Our mission is to improve the plight of animals in this district. Our work involves education; subsidised sterilisations and basic animal health care for indigent communities; pro active and re-active inspections: re-homing of pets to loving, responsible new owners.